Looking for a pasisonate night? Look no further than Passionsearch.com! 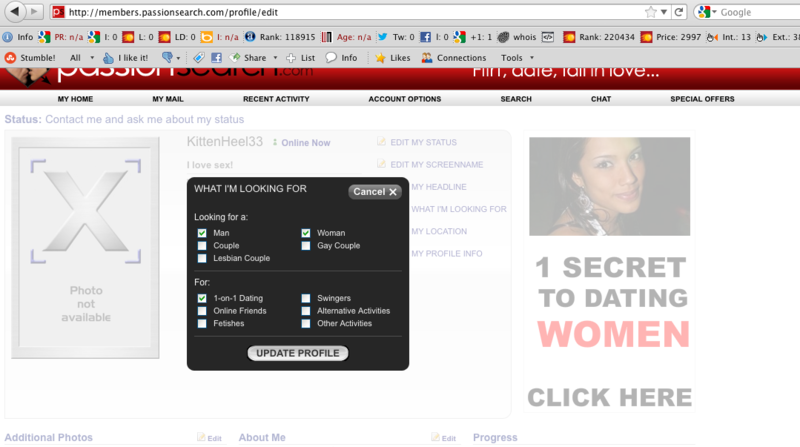 Passionsearch is a cute little site that is exactly what it advertises: flirting, dating and falling in love. They provide you with enough detail so that when you fill out your profile, others can tell EXACTLY what you are looking for at that time, and what you are into. 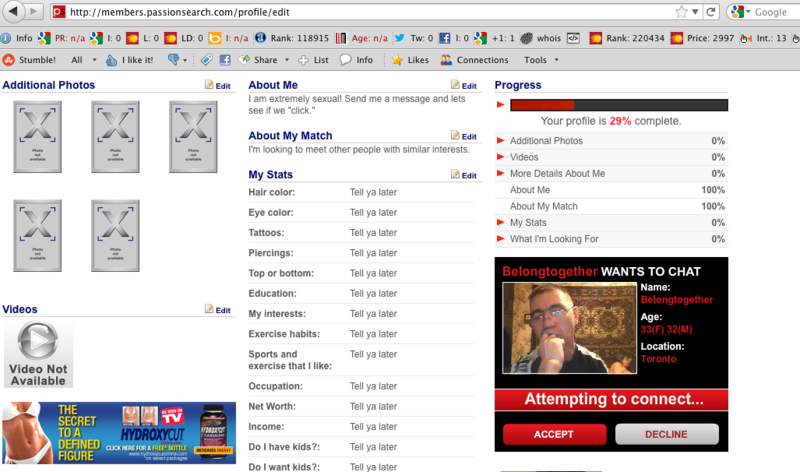 Definitely one of the more detailed profiles I have filled out thus far. Also great options for communicating with your matches in different ways. Enjoying the feature that allows you to turn IMs on or off upon logging into the site. The site itself is pretty straightforward. If you can get past the mildly irritating popup in the bottom right corner, then you’ll probably find the site successful. A big bonus for me is the fact that it allows for alternative relationship love, when you filter your search by interests. Did not find any trouble with my signup or with logging into the site at any time, haven’t seen any bugs, or HTML error either.Â Passionsearch.com is definitely worth a closer look! !